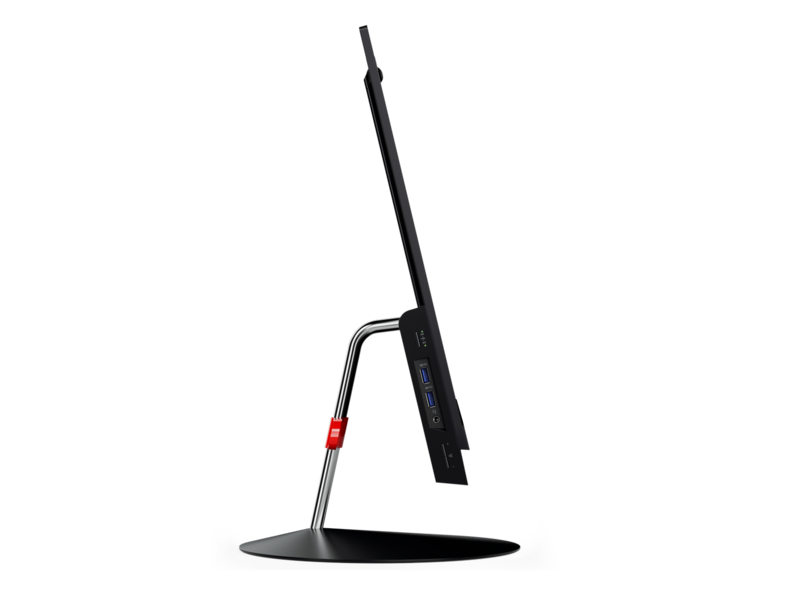 As soon as the USB-C connector and alternate modes were announced with DisplayPort adding support, I instantly envisioned a monitor with USB-C as the single cable to allow docking. With the added Power Delivery v2.0 available with USB-C, this single cable could offer video, peripherals, and laptop charging, since Power Delivery v2.0 can offer up to 100 Watts of power. Since most laptops come with somewhere around 30-65 Watts only, the new cable would have plenty of capability for a single cable docking solution. 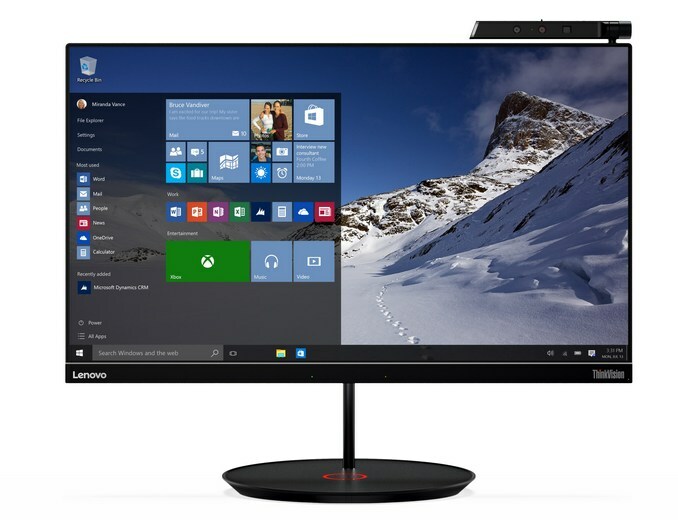 Today Lenovo is announcing two displays which offer this, meaning the wait is over. 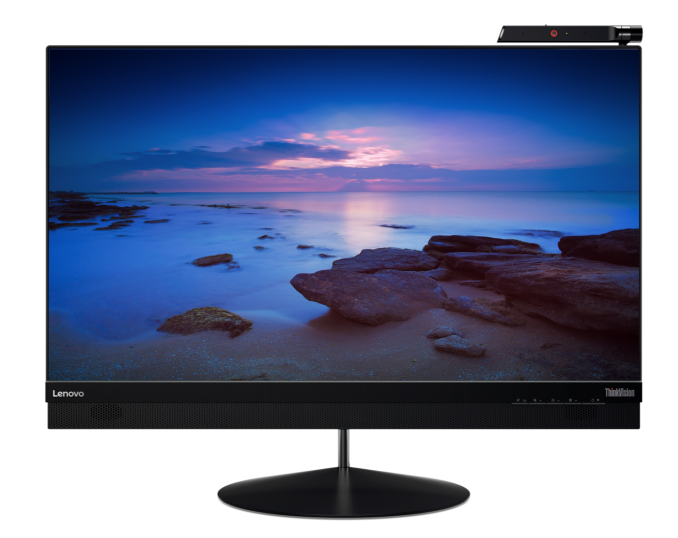 The first is the ThinkVision X24 Pro monitor. This is a 1920x1080 borderless (well, nearly) display with an IPS panel. If you don’t quite have USB-C yet, there are also mDP ports as well. The monitor also features an Intel RealSense 3D camera, so it should be ready to go for Windows Hello facial recognition login. 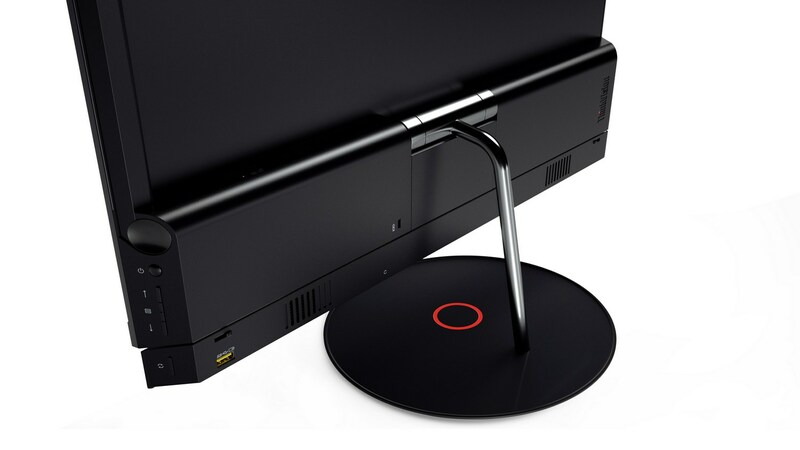 In addition, the X24 Pro offers a couple of well thought out accessories, including a Wireless Phone charging base, so you can just set your phone on the base of the monitor to have it charge – assuming you have a phone with support. Lenovo doesn’t specify but it’s likely Qi. Correction: I'm told it is Rezenence and not Qi. We should be able to find out more with hands-on time this week at CES. The other optional accessory removes the need for the cable at all. You can outfit the X24 Pro with a WiGig bar which means that you can dock a support laptop with WiGig support (see pretty much all of the just refreshed ThinkPads) and have docking with no cables at all. Also, the monitor features 2 x 3W speakers, and a dual-array mic which should help with noise cancelling. This can be all had for a starting price of $399 when it begins shipping in May. The WiGIg bar will be $250, and the wireless charging stand will add another $150. The second display is the 27-inch ThinkVision X1. If you’ve noticed, it shares the X1 branding with the ultra-thin laptops and tablet lineup from Lenovo, and for good reason. The ThinkVision X1 is just 7.5 mm thick. This display steps up the resolution to 3840x2160 (UHD) and it also offers the single USB-C docking ability. DisplayPort 1.2 supports UHD at 60 Hz, so this resolution will be no problem. It is also a borderless model (once again, nearly, with 2mm bezels on the top and sides), and the display is the first monitor to receive the TUV Eye-Comfort certification. This is a 10-bit panel, with 99% sRGB coverage. It also offers HDMI 2.0 support in addition to USB-C and DisplayPort 1.2 ports. It is rated for 1300:1 contrast, and 300 nits brightness. The ThinkVision X1 will be available for $799. I’ll be looking forward to seeing these at the Lenovo booth, and If anyone has any additional questions please comment here and I’ll be sure to check in with Lenovo at CES.